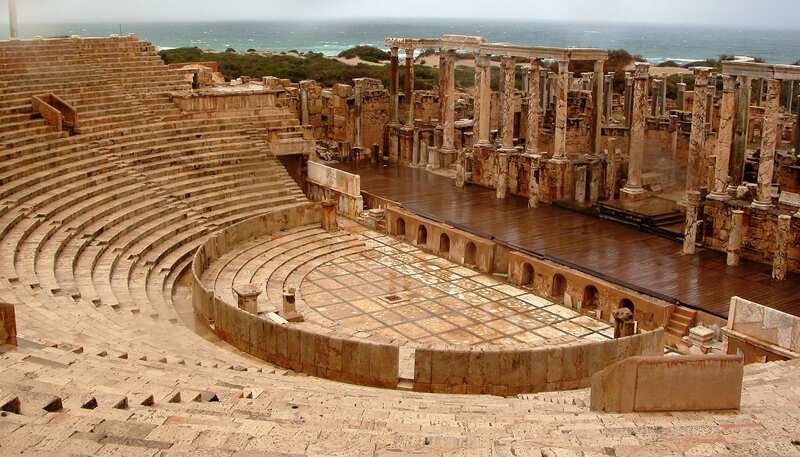 Leptis Magna, on a promontory overlooking the Mediterranean Sea – once the pride of the Roman Empire in Africa – lay hidden for over 900 years, forgotten by man, beneath Libya’s sand dunes. 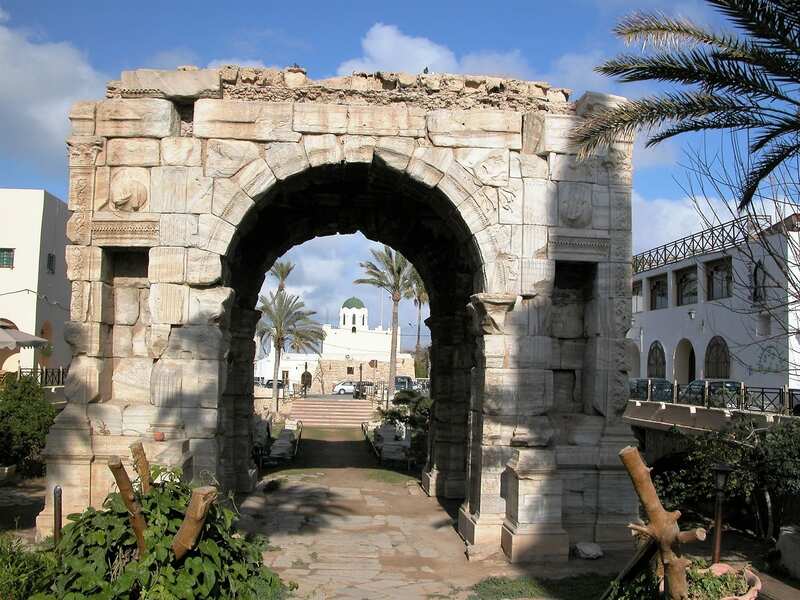 Founded by the Phoenicians it was key in the Carthaginian Empire but was at its prime under the rule of Septimius Severus during the Roman Empire. In the mid twentieth century it was rediscovered, excavated, designated a UNESCO world heritage site and referred to as the “best preserved” Roman city in the world. I didn’t realise how lucky I was to go. I almost didn’t get there at all. It was only a weekend trip and I was due to travel on the Friday. I arrived at the airport to be refused boarding – I didn’t have a Libyan translation in my passport. Try getting one of those on a Friday. I managed it- at a price and turned up again at Gatwick the following day. Naturally, no-one checked my passport for the translation when I got there. 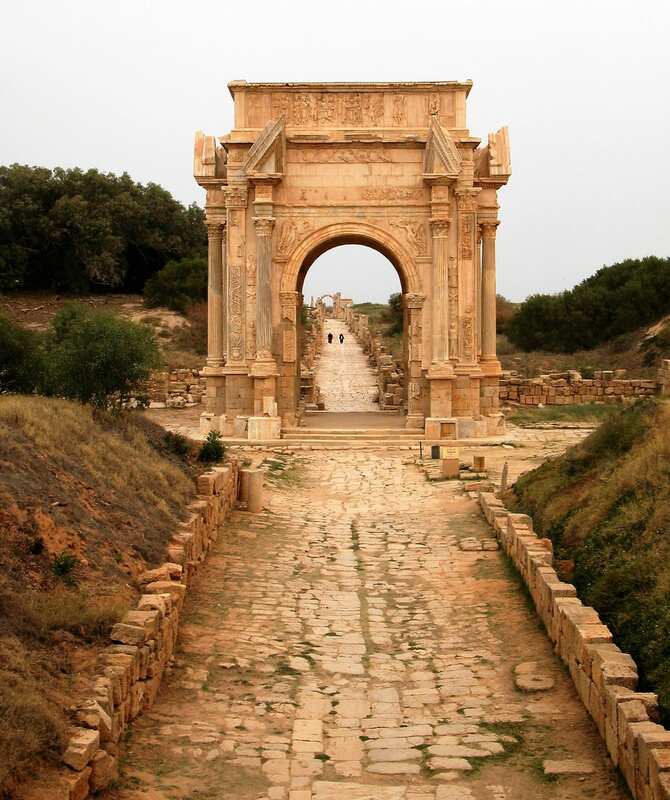 I missed one set of ruins but joined the bus to Leptis. 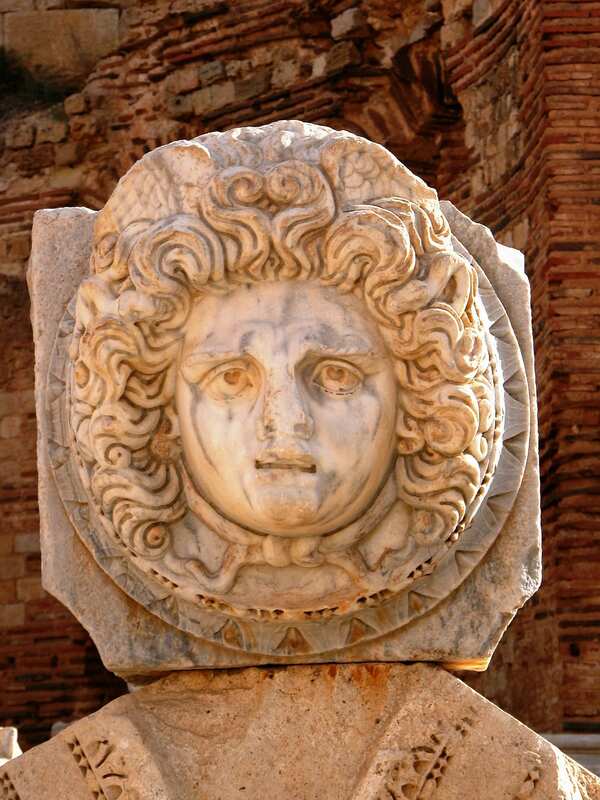 The streets were complete enough to capture the essence of ancient Rome, the amphitheatre was almost perfectly preserved and there was a world famous Medusa head carving. The Libyans were very friendly (the married guide a little too friendly- he thought I should get an individual dinner with him to make up for being late), Tripoli was quaint, with winding alleys and inviting beach kiosks and the food was good. 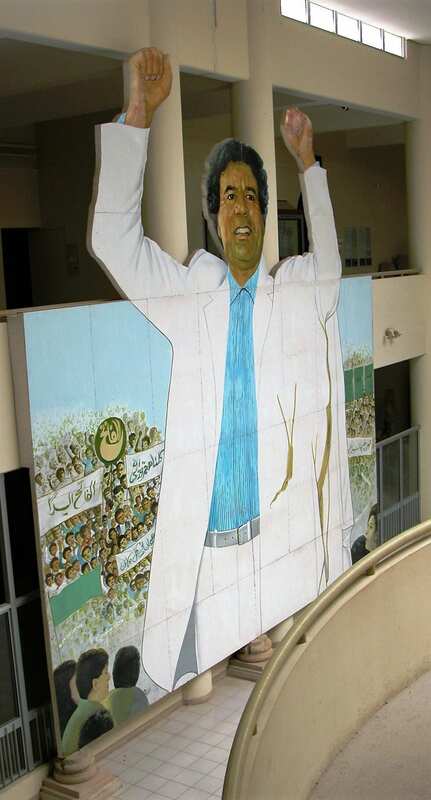 There were huge billboards featuring Gadhafi everywhere. Though no-one was sure where he actually was – he definitely wasn’t in his palace. So, this is another sad tale of ‘man’s inhumanity to man’. 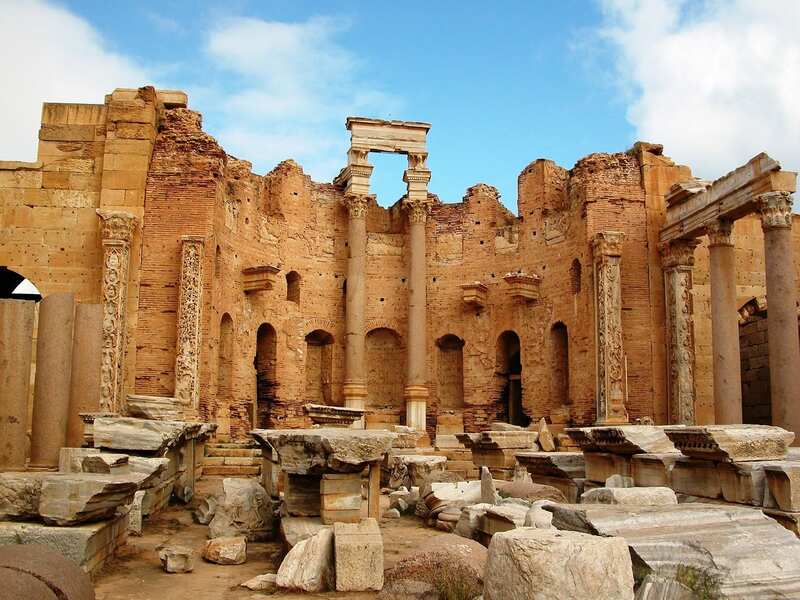 At least, according to the internet, Leptis Magna still survives, almost entirely abandoned, except for visits by the odd aid worker. Weeds and wild asparagus are growing among the cracks on the cobbled stones of the road leading to the city’s parliament. 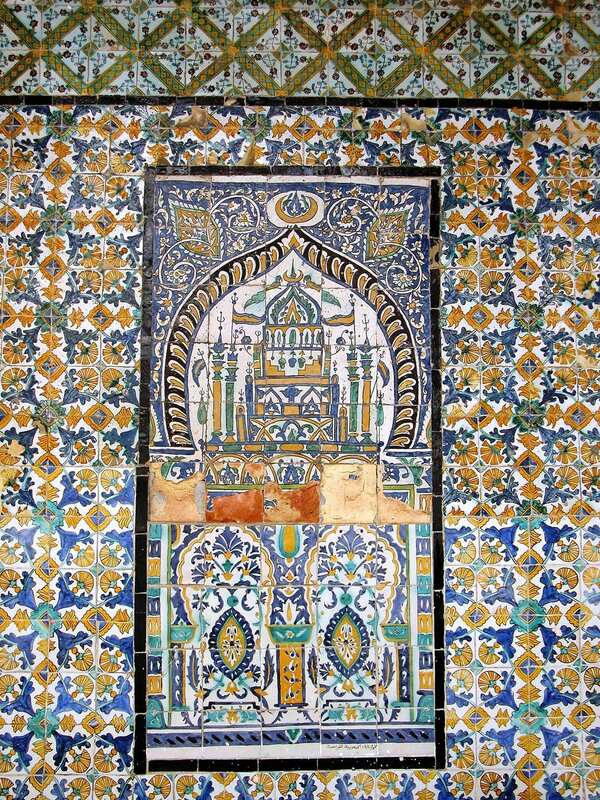 To see more of my photos of Libya, visit this page. Present day Libya remains deeply divided as rival governments continue to vie for political legitimacy and assert control against a background of economic collapse and widespread lawlessness in which armed groups and militias abduct people for ransom and committed unlawful killings with impunity (Amnesty International). The fighting and instability in the country/region was responsible for the deaths of almost 1,800 migrants fleeing several countries in North Africa. They died trying to cross the Mediterranean Sea to Europe in the summer of 2015. Libya is the fourth largest country in Africa. 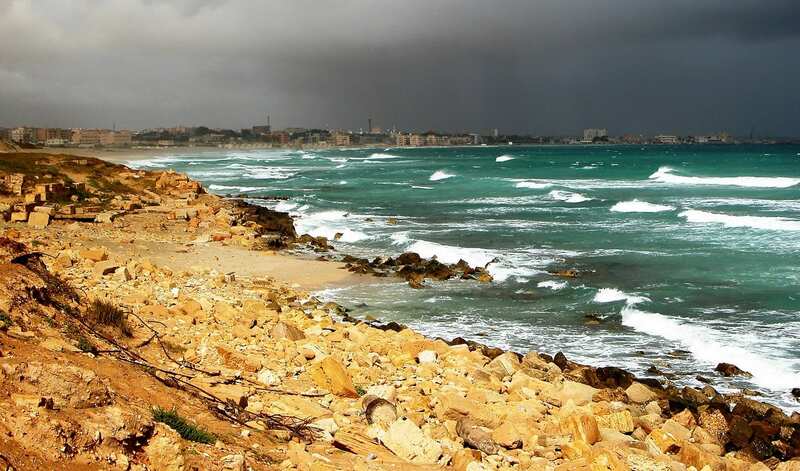 Its 1099 miles of Mediterranean Sea coast is the longest of any North African country. The Libyan Desert is one of the most sun-baked and arid places on earth. There is no average rainfall — the land may go for decades with no rain. In Libya’s entire history, it only had one King. Idris reigned from 1951 until he was overthrown by Gaddafi in 1969.